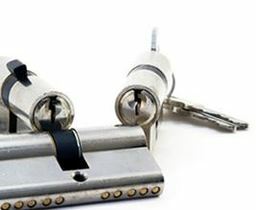 The Edinburgh Locksmith offers a comprehensive 24 hour service all year round to local customers needing assistance. If you're locked out of your house, needing a locksmith or lock repaired and even spare keys cut, our mobile Edinburgh locksmith can be with you within 45 minutes of your call. We are a local family run independent company based in Mayfield Road and provide a competitively priced reliable service throughout Edinburgh, the Lothians, Central Scotland and Fife. We are experienced locksmiths serving all sectors of the market, providing a high quality locksmith service to a wide range of customers. 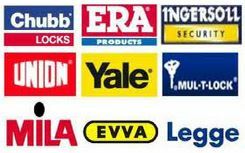 We can repair, replace, install all the leading brand names including Yale, Union, Chubb, Legge and Ingersoll etc. Business or domestic customers can be sure that the service they receive will always be competitively priced and of the highest standard. As part of our commitment to high standards, The Edinburgh Locksmith follows a Code of Conduct which ensures every customer will be attended by a courteous locksmith, dressed in full branded uniform, who is fully insured and been checked by Disclosure Scotland, with a commitment to arrive within a mutually agreed time. Please do not hesitate to give us a call on 07960 404 581 and let us help you with your security requirements.